It’s been a really long time since I last looked at Songbird. In fact, according to my blog, the last time I checked it out was version 0.2 back in October of 2006. The UI certainly has a bit more polish. I submitted some bug reports on their Bugzilla about Metadata problems with WMAs and problems with podcasts. Eventually, I just got frustrated and stopped using it. I updated to version 0.4 a while back, but it still seemed a bit unstable. With Rhythmbox and Amarok meeting my needs on Linux, and with me hating Windows Media Player so much, I’ve pretty much stopped listening to music on my Windows computer. 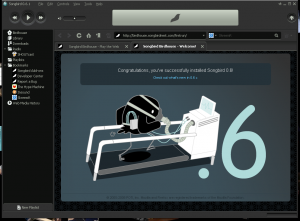 However, in the most recent Linux Outlaws podcast, they mentioned how much they liked Songbird and how it had improved. They mentioned that it had been updated to include improvements from Firefox 3. 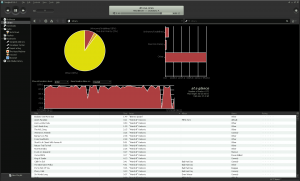 (Songbird’s web browser code borrows from the Firefox core) Another reason I found to check Songbird out again is that one (or some) of the developers behind Songbird were also involved in Winamp before it was sold to whoever. (AOL, I think) I loved Winamp back in the day when I first got started with digital music. 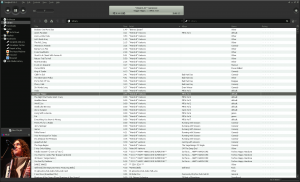 When Songbird started up, the Birdhouse tab indicated that I had upgraded and it rescanned my music directories and updated the tags. I’m ok with that since the software is currently somewhere between alpha and beta, but I don’t want it rescanning my music with every single update once they’re out of beta, that would just be way too annoying. The other tab in the Birdhouse was a webpage showing a bunch of places where I could use Songbird’s functionality to grab music. I then clicked on the library tab and it took a while to load up. Annoyingly, the Avenue Q album I added while the program was loaded did not automatically get put into my library. 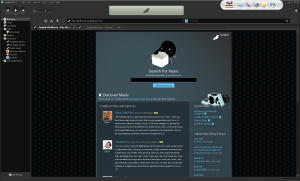 This is something Amarok and Rhythmbox can already do on Linux. I’m running Songbird on Windows – does it lack the capabilities to allow it to be updated without initiating another library scan? One negative off the bat – everything seems to be glacially slow in Songbird. They really need to make it more responsive as I click on the menu items on the left. 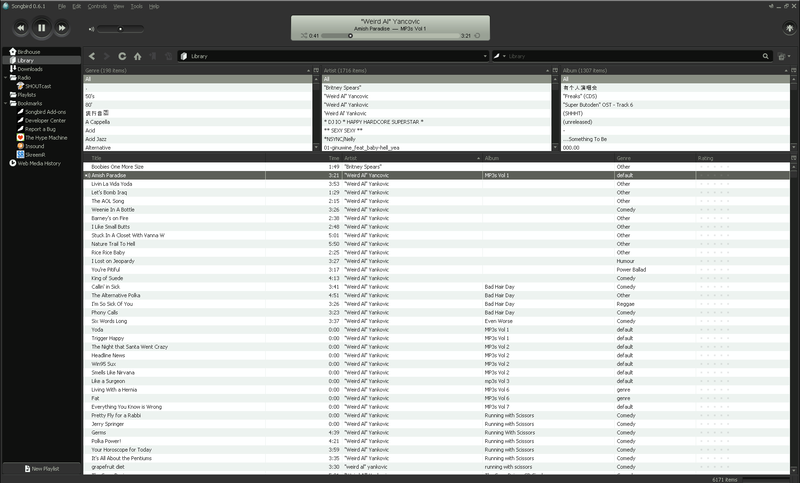 Right now it just can’t compete at all with my Linux music players. It still didn’t see Avenue Q. Am I supposed to manually rescan my hard drive every time I add songs? Unacceptable! 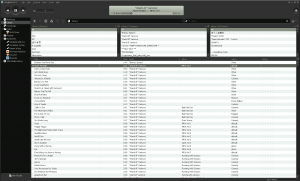 They seem to have added support with Shoutcast and have a whole bunch of Shoutcast radio stations involved. One of the best things that Songbird inherits from Firefox is the ease with which extensions can be developed. Here are a few of the ones I installed to see what they were like. Here’s a tag cloud. It looks very nice, but I would have preferred for it to have different sizes for the tags depending on how many songs I have. Otherwise, what’s the real benefit of this over the default list? Here’s a bunch of really cool looking charts and graphs. Looks like the type of thing I’d love, but as of now it appears to be pretty useless. Overall, I think Songbird is still a little rough around the edges. It needs to poll for new songs added to whatever directory I choose (say, My Music) and automatically add them to my library. It needs to not think that WMAs have 0 second lengths until they are played because, for people like me, if you can’t scrobble your music, what’s the point of listening? They need to work on startup time for the program as well as the lag when I go to my library or other pages within the application. 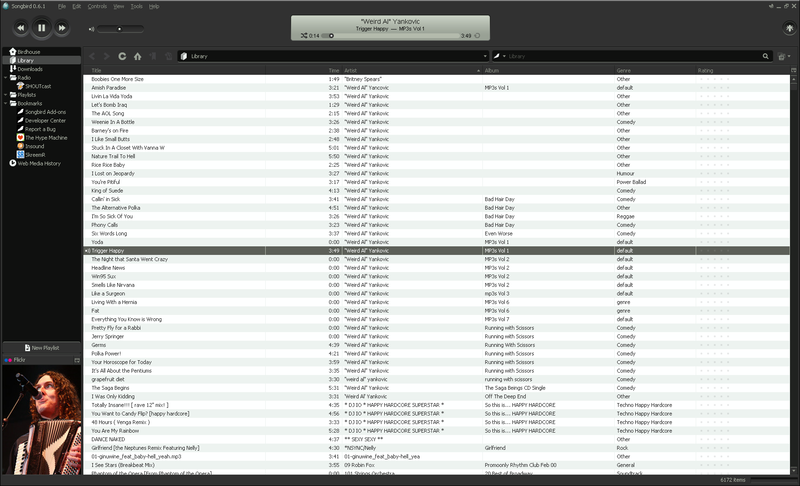 Also crucially missing are “smart” playlists or auto playlists, whatever you want to call them. 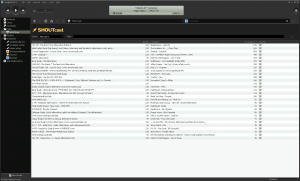 I shouldn’t have to drag songs manually into playlists – not when everyone from Rhythmbox to iTunes to Windows Media player can already do that. However, they seem to be the most exciting thing happening on the Windows music scene. The add-ons like the flickr integration bring a more to the experience than just listening to music. The integration of a web browser and being able to search for music to easily download are big plusses. 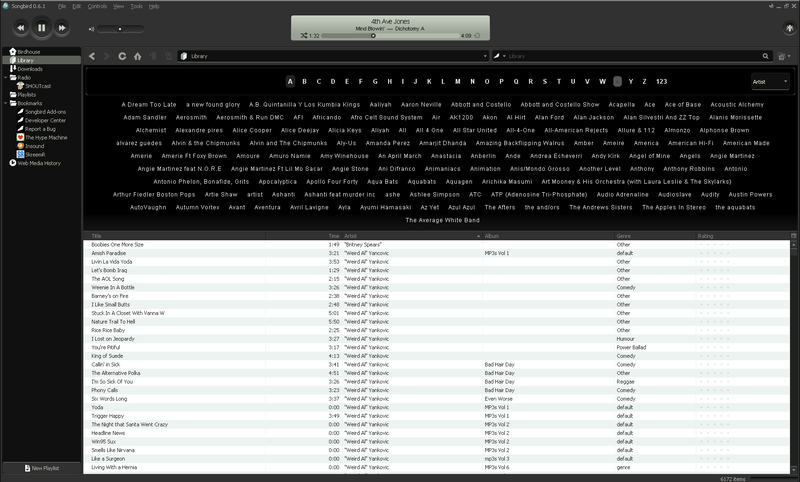 I think I’m prepared to make Songbird my default player on Windows again. Well, I’m much more of a fan of iTunes-like players now (eg Rhythmbox, Banshee, Songbird) instead of playlist-focused players like XMMS and WinAmp. I think I liked it because it worked so well. What was better at the time? * “Watch folders” (the feature where it will automatically check folders for new music you add to your filesystem) is a feature we’re hoping to bring in 0.8, definitely before 1.0. 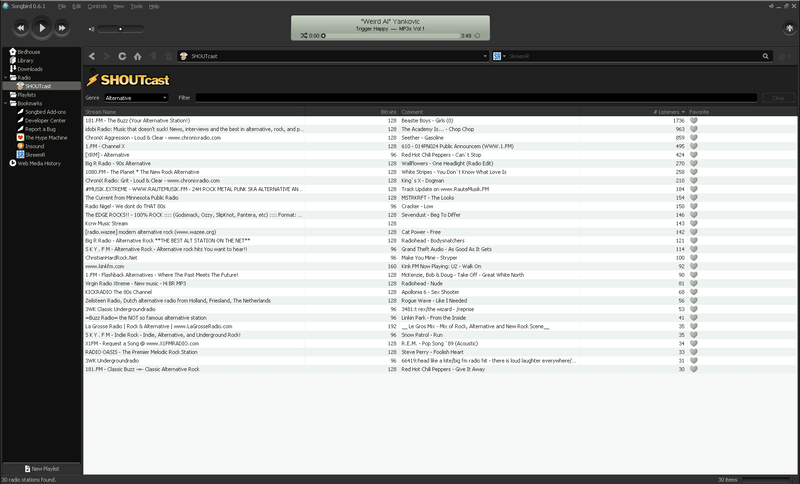 * “Smart playlists” are coming in the next version 0.7. 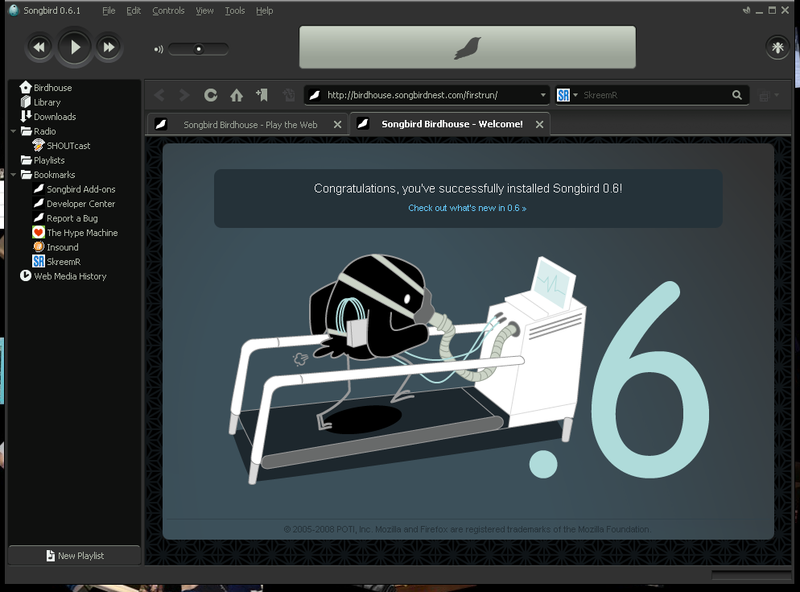 If you download a nightly build from our developer site (http://developer.songbirdnest.com), you’ll see they are already in there. Eric, thanks for checking us out again and supporting our project. You raise some good points in your review and we’ve been hard at work on the latest release to address a few of them. We’ve allotted a portion of each release specifically for performance related issues. The reason you had to re-scan your library in the latest release was due to the performance enhancements made to improve speed in the Library. Until we get to our official public beta, please bear with us. We’ve also fixed the metadata scanner so you won’t have songs with 0:00 length and we’ve completely redone Last.fm add-on (thanks to Ian). Smart Playlists will also come back in the next release and I saw a great demo by the grabb.it team today for managing Songbird playlists in the cloud. Meanwhile we’ll also be landing our new media core, GStreamer, in the next release which signals the start of more audio/video features and helps move us off of VLC to a more modern architecture. All of this has been made possible by a more refined engineering and product management process which has sped up our development cycles and yielded fewer bugs and higher quality features. Our next release of Songbird is due out in August. First of all, I’m sorry if the rescan comment came off as a complaint. I meant to say that it happened, but I expected it was just due to some internal formatting changing. I was just hoping this wouldn’t happen anymore after 1.0. You guys have me salivating over the next version. I’m especially excited about smart play lists which I use on Rhythmbox to ensure only songs rated above a certain level get played. I also use it to find newly added music. I’m also really excited about the watch folder feature. I’ll be keeping tabs on the project – I think you guys are doing an awesome job and I definitely think Songbird is on the way towards becoming my default player – at least in Windows.